John Foster (1898-1973) held the Chair of Ecclesiastical History at the University from 1949 until 1969. He was Dean of the Faculty of Divinity from 1957 until 1960. Foster was born in Yorkshire and educated at Bradford Grammar School followed by Birmingham University and Handsworth Theological College. During the First World War he served with the RNVR and saw active service in armed trawlers in Home Waters. Foster was ordained to the ministry of the Methodist Church in 1922 and worked in South China with the Methodist Missionary Society. He was Professor of Church History at Union Theological College, Canton from 1926 until 1937. On his return to Britain in 1937, Foster was appointed Professor of Church History at Selly Oak Colleges, Birmingham. 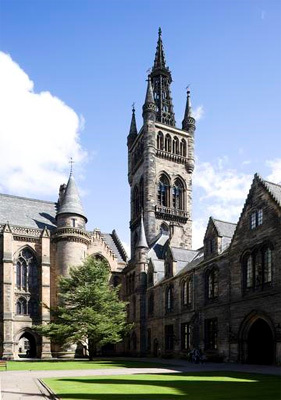 He moved to Glasgow in 1947 to take up the post of Lecturer in Ecclesiastical History at the University. Born 2 October 1898, England.